I recently purchased the new Apogee Micfor the iPad and iPhone. It runs $200 on Amazon or in the Apple store and connects through the 30 pin adapter or through a USB port on your computer. I was skeptical, but since my goal was to get as minimalist as possible and podcast on the go, this seemed like my tool. Plus, in reading reviews, this seemed like a great device to capture acoustic recordings for my students guitars and ukeleles. Here is a sound test I did using Garageband dry with no effects and with the telephone filter. I have found recording in Garageband to be easy and amazing. I have a more professional set-up with AKG Perception 420 which was twice as much as the Apogee mic that includes a sound board with xlr to USB inputs. If you would like to find out about my sound set-up for podcasts with the AKG, you can check that out here. So far, I like the mic. As you can hear it does a pretty good job on sound. Now, I did shut off all of the vents and fans in the house as well as all other electronic devices and made sure I was the only person in the room. The device does have a button on the side to to adjust gain, so you can control your level of input. The mic also comes with a stand that has an adjustable head, so you can angle or position the mic just about wherever and however you want. Overall, if you are looking for an inexpensive mic for your iPad or iPhone, this is a good choice. From experience I would say this is way better than a snowball mic, so if you want to use it for your Mac as well I would say go for it. If you have an iPhone 5 or an iPad 3 I don’t have any solutions for you, but I’ll keep working. 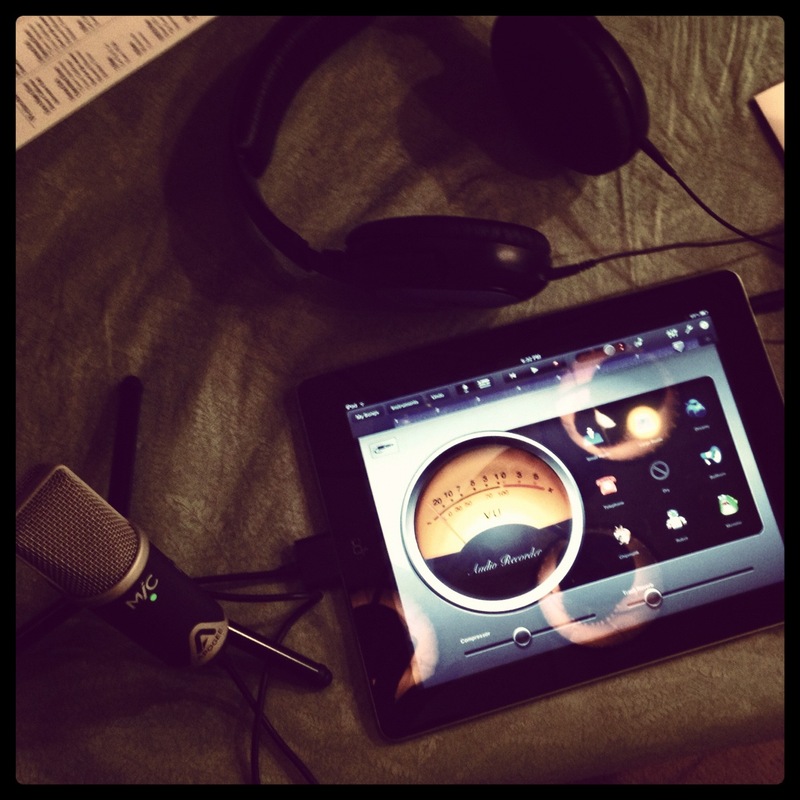 I do love recording on my iPad in Garageband. The simple filters make it easy to do great voice over for story telling and narration while recording using live instruments or using the smart instruments is very intuitive and easy to use. I’ll update this post once I get some instrument recordings and vocals. If you are curious about podcasting, then check out some of my previous posts on how I learned to podcast and what equipment I like to use. There is a landslide of comments online on the various social media networks proclaiming, “Let kids use their phones.” It makes sense, there is more computing power in the current smart phones than there was on the space shuttle that landed on the moon in 1969. However, when I hear this phrase thrown around, I feel as if people have this mental image of a technological Moses descending upon their school with tablets and smart phones where he will utter the prophetic words, “Principal, let my students learn.” And in that one moment a pantheon of learning will take place unparalleled in the history of the world. We will enter a new renaissance which will foster in an age of discovery and advancement through mobile learning. I wish this was true. We give kids a lot of credit for being tech savvy – and we should – as they have not known any other way to live than with phones and computers. We should not get carried away in this “let them use tech they have” mentality because without training and good instruction, the technology will quickly run away on us and there will not be much teaching and learning going on in schools. Looking at the recent history of social media, starting with MySpace, the internet was about creating a life you wish you had. Notice in the beginning it was about the number of friends kids had – even if you didn’t speak the same language – and the running gag was that everyone was Tom’s friend. Don’t have many friends in life, you can have 5000 online right now. Play a game, build up a farm or mafia. What, you got an A on your test, well my farm is bigger than yours and my mafia robbed you last night while you were studying, take that. Social media was about creating what you thought your life could be and then showing it off. When Facebook came around, it was more about making connections. I went to a party or was at a bar, met this person I liked, when home and looked them up, “Hey, remember me, we met last night, let’s hang out.” Now, there was an evolution as Facebook, when it started, was more about connecting with people you already knew or had just met. Now, social media was about enhancing your already functioning life. Did you get a phone number? No worries, I’m sure he/she is on Facebook. Phones have made this extended reality even more inviting. 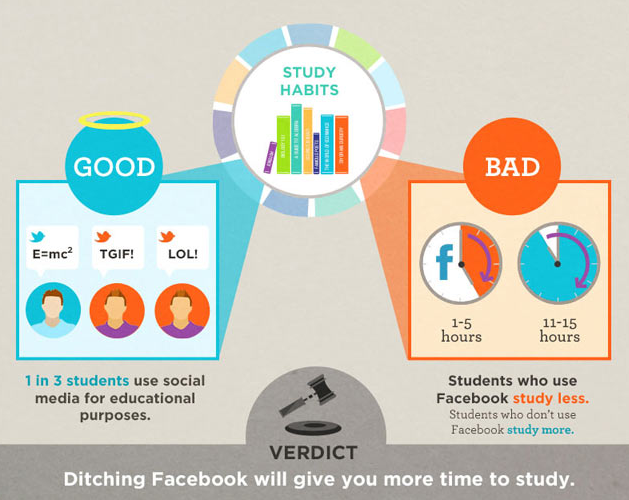 Currently, about ninety-six percent of college students on Facebook, it’s no surprise that most young people spend their time on the site. Email is no longer the primary way to communicate digitally. With a group of friends, about sixty percent of teens are more interested in the virtual friendships they have online then they are with the friendships of those sitting next to them. The phone has made it easier to be connected to more people at once. Remember that iconic scene from Bye Bye Birdie, right after Ann Margaret gets pinned in the bus (a while new meaning with today’s youth) and the whole teenage population is buzzing with excitement over the phone lines to learn the news and talk about it. Our kids are like that now, only with more typing than talking. This has been the plan for years, phones are a distraction so turn them off, end of story. The problem is that we are fighting a higher power. Parents buy phones for their kids so that they – the parents – can get a hold of Johnny or Suzy whenever he/she wants. Looking for proof, how many times has a student bypassed the office and met a car in the parking lot – usually mom – with lunch or a change of clothes for PE, between classes or at lunch? Sound like a safety concern, it is, but remember, en loco parentis may be true, the parent still out ranks you. Then there is the friends, so many friends: Facebook, Twitter, Instagram, Tumblr, Kik, texting and the list goes on. There are so many ways for kids to stay connected that they want to, all the time, “I just had this idea, we must talk about it now!” In fact, kids spend so much time connected they don’t know how to turn it off. A 2007 study by the New York Times found that their employees who stopped what they were doing to answer an email or take a call spent, on average, about 15 minutes getting back on task. For many of our students this is all day. While our students may spend all day online, many of our staff members do not. Some may or may not have Facebook, almost none of them Tweet and very few if any text unless they have kids or are under forty. In any workshop I do, there is always one comment, “go slow on this Twitter thing, I don’t even know what a tweet is and I’m not sure if I get it.” So now we have a staff that is unprepared to handle the tech demands of students who are so far ahead we can’t tell if the kids are texting or learning. A little over a year ago I did a lesson with my students – focusing on my AP students. Embedded in the lesson was a QR code that would pop up at random times. Finally, a student asked what those boxes were. I explained, “That’s a QR code.” Out of sixty students only one knew what that meant. Many studies suggest that only about thirty-five percent of the population know what those QR codes even are when they see them. As with anything in school, kids need to be trained. Staff needs to be trained, and there needs to be systems and procedures in place to monitor and control the learning taking place in the classrooms. As it is now, only about one in three students even knows how to use social networks for educational purposes. One of the age-old arguments in education and technology is supplementation vs integration, it’s been around for a long time. The second argument is equal access which has been around a little bit longer. Sure, kids have phones, but how many students have smart phones? Most studies show fifty percent, but how many have smart phones on your campus? How many of your staff members have smart phones? What apps do your students and staff have on their phones? Do they know how to use them? I use Evernote to take notes in my class, before I made my students use it most of them didn’t know they could take notes on their phones or iTouch devices. If we want kids to start using their phones we have to show them how. We need to have conversations about what is right and what is wrong to post online as well as conversations about when we can use our phones for personal time and when we need to be professional. Tell your kids to turn off their phones – and not just put them on silent – and when to turn them back on. We cannot assume they know anything. Show your students how to take notes, send a professional text to a boss – like yourself – and to use Twitter to gain insight into careers and research he/she may be interested in pursuing. We need to teach our students the value of a personal conversation and how the conversations we have online are direct extensions and enhancements of the ones we have in person. I am a huge proponent of cell phones in the classroom and technology integration. I preach this constantly at staff developments, leadership trainings and anywhere else the conversation is taking place. Still, I hope people know it’s not as easy as “Just let them use their phones.” If technology use is not part of your classroom procedures then cell phones and BYOD (bring your own device) may not be for you. We have this fear of liability and students accessing sites they should not be on at all let alone at school – but kids are doing that anyway on their phones with 4G. That’s why we need AUP’s that state it is the student’s fault for accessing sites and not the gatekeeper who does not have much control any more. Have these conversations with your students, have them with staff and have them with your parents. Having a smart phone does not make one smart, but utilizing a smart phone to gain access to information, produce content, track notes and collaborate just might make one a little more intelligent and successful.